When we think of the holidays, flavors like caramel immediately come to mind. Sweet things like caramel sauce recipes that include apples and pears are one of our favorite Holiday treats. We put together 6 of our favorite creamy, dreamy caramel sauce recipes that will satisfy your caramel craving all year long. We hope you enjoy! Salted Caramel Apple Blondies are gooey, chewy, moist, and addictive. Similar to brownies, this dessert recipe has small pieces of apples simmered in Salted Caramel Sauce. 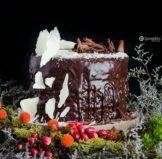 You will love every bite! This is one of the simplest and easiest caramel sauce recipes ever! These little mini bites really bring the holiday aromas and flavors to life from the cinnamon and the sweet and salty taste of Salted Caramel Sauce. You really have to try this! 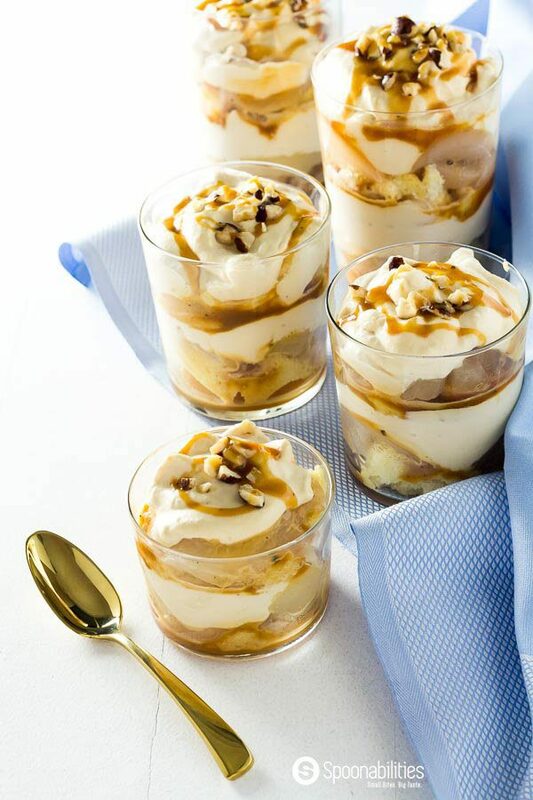 As the recipe says, this Salted Caramel Pear Trifle is SO easy to put together. Yet, with its fancy layers of pound cake, pears, whipped cream, toasted hazelnuts and our very creamy Salted Caramel Sauce by Coop’s MicroCreamery, your guests will think you slaved in the kitchen all day preparing this dreamy dessert. 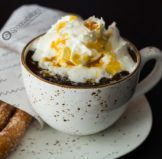 Churros are a traditional Spanish treat dipped in a thick hot chocolate, dulce de leche or cafe con leche. (In Spain, hot churros are traditionally eaten for breakfast. OH YUM!) 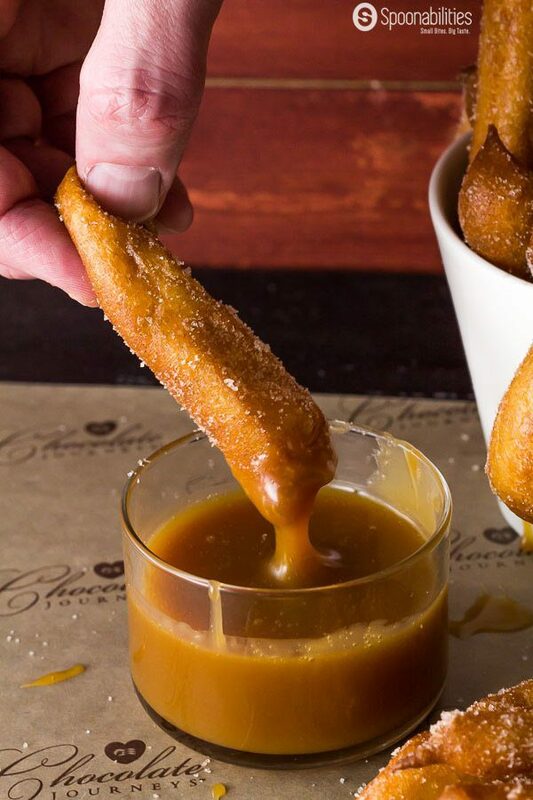 Our favorite way to enjoy churros is dipping them in salted caramel sauce. We think you’ll agree! 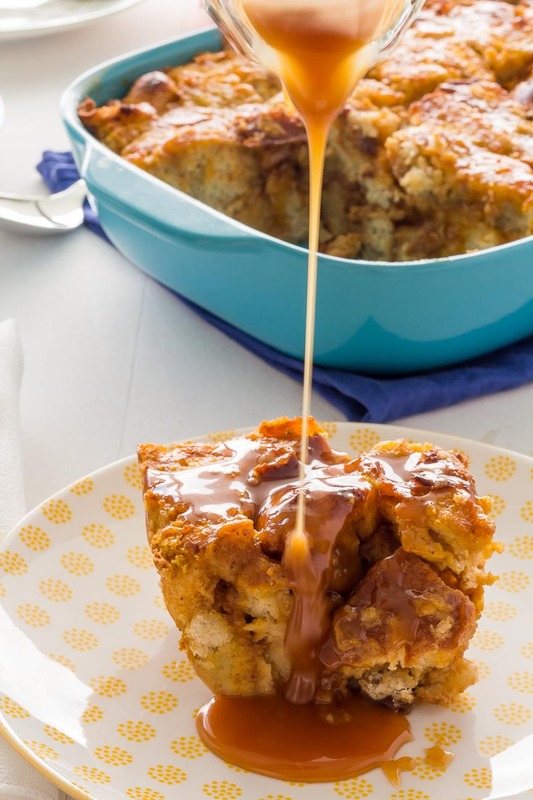 Adding pumpkin puree and coconut milk to this bread pudding gives it another layer of natural sweetness. The combination of the warm spices and the very creamy salted caramel make this recipe the perfect way to start the Fall season. ‘Tis the season to celebrate and cheer with a special drink called Caramel Apple Cider Vodka Punch. 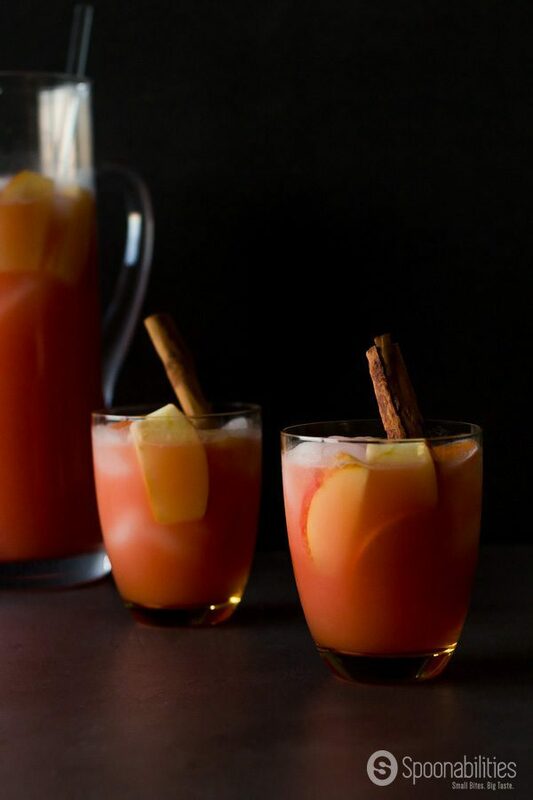 This sweet, fruity, festive alcoholic beverage will get you in the spirit of the fall and winter season. Made with Salted Caramel Sauce, this drink is easy to prepare and can be made ahead a time. Perfect for your upcoming holiday parties.